Jason O'Driscoll has been found guilty of murdering two Dublin men in Ravensdale Forest Park in Co Louth in 2012. 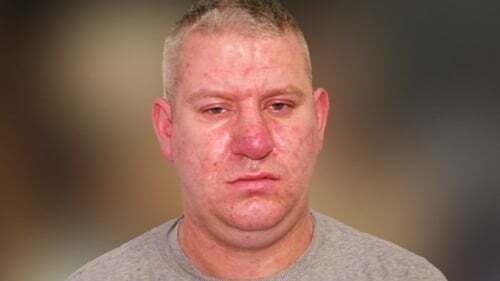 O'Driscoll, with an address at Richmond Avenue, Fairview, had pleaded not guilty to murdering 31-year-old Anthony Burnett and 25-year-old Joseph Redmond on 7 March 2012. The trial at Central Criminal Court had heard that firefighters were called to a burning car in Ravensdale Forest Park shortly before 11pm that night. The bodies of the two men were discovered inside the stolen car that they had planned to sell to the accused. They had both been shot in the head. It was the State's case that O'Driscoll was involved in the murder, travelling to and from the scene in a stolen silver Mercedes S Class. The jurors began considering their verdict on Monday afternoon and were yesterday told by Mr Justice Michael White that a majority verdict would be acceptable. They spent more than seven hours considering their verdicts, which the foreman said were by a ten to two majority. The members of the jury have been exempted from further duty for 15 years. Mr Justice White will hand down the mandatory sentence of life imprisonment on 2 October. He adjourned sentencing after counsel for the prosecution, Alex Owens SC, asked for time to allow the families of the deceased men put together an impact statement to be read to the court. O'Driscoll shouted obscenities as he was led from the courtroom, saying he was "guilty of f**king what".